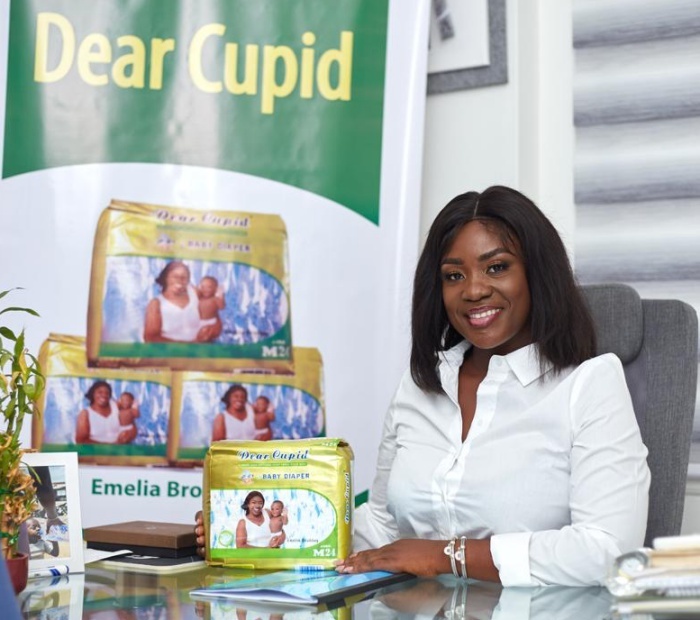 Award-winning Ghanaian actress and TV presenter, Emelia Brobbey has been named the brand ambassador of Dear Cupid baby diaper. This deal will see the face of the beautiful actress embossed on all the comfortable diaper you buy for your babies from the company. The Start Media boss was appointed as the brand ambassador on Wednesday, January 9, 2019. The Dear Cupid baby diapers are produced by Noki company limited. It is not clear the exact number of years Emelia Brobbey has been signed on as the brand ambassador but a close source to the actress tells us it is for a couple of years. Dear Cupid baby diaper is a quality diaper which helps keep wetness away from babies.